It’s time again for UBC’s largest women’s event of the year! 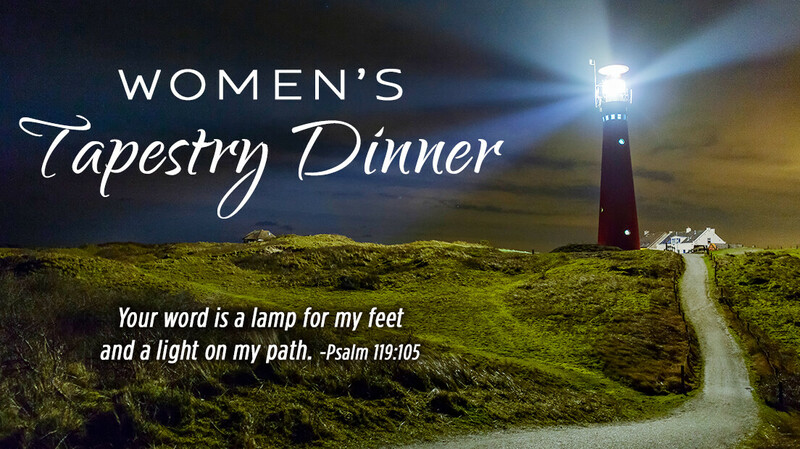 Women are invited to enjoy a delicious, catered meal and Christian fellowship around tables uniquely decorated by each table "hostess." Door prizes will be awarded! Following the dinner will be a special program, with a featured speaker. The cost is $15 per person or $105 per table (seats 8). Registration is open online, in Fellowship Hall on Sunday mornings, or Thursday mornings during Journey to Joy Bible studies. Sign-up to volunteer! Contact Lora Doremus to volunteer. Anna Kang has been serving in ministry since 2004 and has planted a church in downtown Los Angeles with her husband Louis. They desire to experience the transforming power of God in their community. They have 3 children, Elijah, Eisley and Ella who keep them on their toes. Anna enjoys laughing and spending quality time with family and friends. If you choose to hostess a table you can decorate it using anything from bright paper plates to your grandmother’s china and crystal! Or invite friends to each bring a place setting from home. What a fun table that would be! Click HERE to see examples of last year's tables. Click HERE for the 2017 Tapestry Dinner Photo Gallery!